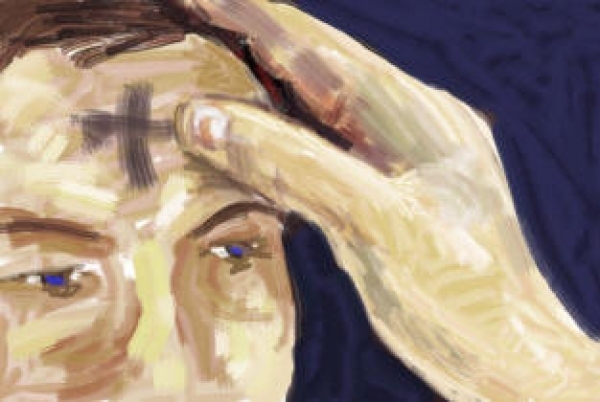 Lent Is the solemn observance in the liturgical year lasting for a period of approximately six weeks leading up to Easter Sunday from Ash Wednesday . At the beginning of Lent, on Ash Wednesday, ashes are blessed during Mass, after the homily. The blessed ashes are then "imposed" on the faithful as a sign of conversion, penance, fasting and human mortality. 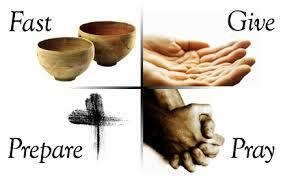 The act of putting on ashes symbolizes our fragility and mortality, and the need to be redeemed by the mercy of God. Far from being a merely external act, the Church has retained the use of ashes to symbolize that attitude of internal penance to which all the baptized are called during Lent. This lent, we will focus on God as the Chief Gardener of our soul, and we will seek out ways to grow into the fullness God desires for us. Just as stakes and lattices support the growth of young plants, so too can spiritual disciplines support the flourishing of our whole being. This series uses a tool from monastic spirituality called a ‘Rule of Life’ to help us cultivate our relationships with God, Self, Others, and Creation. This is an exciting opportunity to dig deep and dream big about ways to live into a more abundant life with Christ. This series is designed for use by both individuals and small groups. In small groups, facilitators will guide the growing process as participants discuss and learn together. For individuals, daily videos and reflections will lead them through a similar process. Ultimately each participant will create a unique Rule of Life to guide and sustain their Christian life beyond the class. The series is organized into six phases. Each phase will help us develop some aspect of our own ‘Rule of Life.’ In these phases, we will look deeply at our relationships with God, with Self, with Others, and with Creation. I encourage you to sign up at www.SSJE.org/growrule asking for it to begin on Sunday March 3rd. We will then meet on Tuesday evenings at 7.30pm.